Like a film within a film, the search dog team's real life adventures are being turned into an animated series. 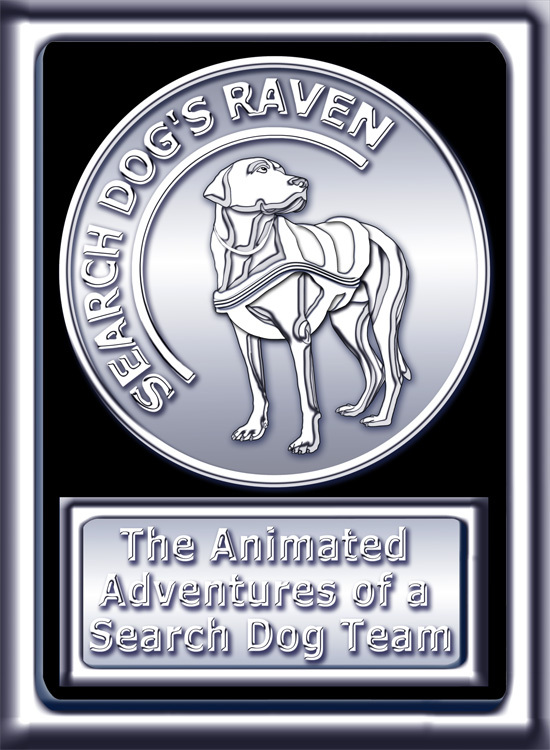 The official Logo, with Ebbey the search dog, is shown embossed on a custom memory card coin. This is the first poster, as seen in the film SEARCH DOG'S RAVEN, and for the real animated spinoff series.